Memorial Day weekend means a lot more to me now that it’s also my anniversary weekend. I woke up that Monday relaxed and ready to spend time with my family. As I got of bed and checked my phone, I had four notifications from marketers trying to get me to buy something. As someone who has sent marketing emails, I have always been conscious of sending an email at the right time. But I also made decisions not to send people on holidays or other special occasions because I knew it was ethically questionable. 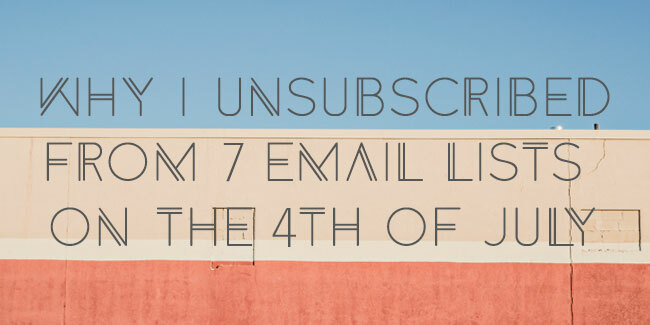 So on Memorial Day weekend, I felt conflicted—understanding the plight of the marketers but also wanting to be left alone on a holiday—so I just deleted the emails and went about my day.